Added security for peace of mind at home and across the world. HomeTrust Bank Debit cards come with enhanced Chip security. Chip cards—also known as EMV (Europay, MasterCard, and Visa) or smart cards—are in frequent use internationally and will soon be the standard in the U. S. HomeTrust Bank Debit chip cards are available to our customers. Your current debit card will be replaced with the new chip card when your current card expires. If you’re asked to insert the card, look for a slot on the bottom-front of the terminal and insert your card face up, chip first. Take your card when prompted; do not leave it behind. The process is almost the same at ATMs. Simply insert your card and follow the screen instructions. On some ATMs, you may need to reinsert your card. You will need a PIN for your transactions, and your card will remain in the ATM until the transaction is complete. Learn more about HomeTrust Bank chip cards on our EMV card FAQ page. 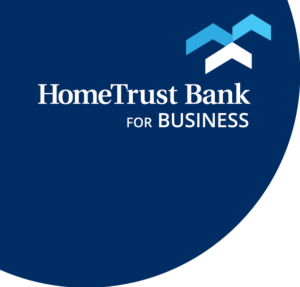 As an additional layer of security, HomeTrust Bank will text1 or email you when our system believes your debit card may have been used fraudulently. By simply replying “yes”, our system will allow you to run the transaction again and it will be accepted. By replying “no”, your card will be permanently blocked2. Messages are sent from the short code phone number 20733. Fraud alert via text message is an opt-in service. To enroll, either respond “YES” to the opt-in text message we send you, or contact our Customer Care Center at 800.627.1632 Monday – Friday 8:00 a.m. – 7:00 p.m. and Saturday 9:00 am.m – 3:00 p.m.
Design your own HomeTrust Debit Card! Banking that fits you includes a debit card that’s yours and yours alone. You can personalize our standard chip-enabled debit card with your own photograph or design. Third party data, messaging and internet service provider fees may apply. To order a new debit card, you may contact our Customer Care Center at 800.627.1632 option 5, or you may visit your nearest branch to order a new card and pick up a temporary debit card.